Zoosk Christian is a leading dating site that creates instant connections between American singles from the Christian community taking into account their behaviour when using the service. The dating platform connects faith-minded single men, and women who share the same interests, and live in the same area. The online dating site currently operates locally, so in that way it is easy to meet unattached Christians from all over the United States looking for friendship, and the love of their lives. Zoosk Christian: How does it work? You can join Zoosk Christian for free, and within minutes. The first thing you need to do to get started is to fill a simple form where you quickly give basic details about you. Then, you are presented with other Christian single men/women who live close to you, and belong to your same age range. You can break the ice by showing your interest in a particular user, and by sending winks. If you are Premium you can also show your soft side by sending a virtual gift. The more time you spend browsing and showing your interests, the most reliable matches you will get! The platform shows you potential partners after analyzing your actions when using the service. 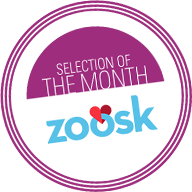 Zoosk currently is the #1 grossing online dating app in the Apple App Store, and its Christian dating site has become one of the most used behavioural matchmakers in America. You can actually connect with other Christian singles in several ways. The main tool is the called “Carousel”, where the site introduces you to potential matches taking into account your profile information, and you can show your interest in them or pass. When there is a match, basically when the two of you are attracted to each other, you have the option to unblock the profiles by using Zoosk coins, and start interacting. Another feature is “SmartPick”, where you are presented with potential matches the platform has carefully selected for you after evaluating your behaviour. If there is a mutual interest, then you can start talking. Simply select an icebreaker, and the system will then deliver it to several members. If there is a positive response, then you can start knowing each other! Like other dating platforms, Zoosk Christian takes some basic steps in order to guarantee its users’ security. The site, however, does not provide background checks, so the user is the one responsible of his/her online safety. Nonetheless, the platform provides a guide with tips to make users’ online dating experience safe. From how to safely create your profile -by adding the appropriate personal details- to detect scammers, you can find practically all the necessary information to take the most of your experience finding love online. Finding the perfect Christian partner online takes time, and patience. Many matchmakers use personality tests to easily connect faith-minded singles from across America, but Zoosk’s behavioural matchmaking tool ensures you save time when you are online dating, and instead, you used it to go out on a date, and start creating your love story! The great thing about the site is that you can really meet scores of highly compatible Christian singles in your city in a blink of an eye, simply by avoiding spending time on the usual long personality tests used by similar websites. You are mainly connected depending on your interests, and behaviour. The rest is up to you! You are in control of finding out if the nice guy/girl you have met in Zoosk Christian is your significant other!